Yacht Club Games’ Shovel Knight has had a big week. First, he was revealed as an assist trophy during the latest Super Smash Bros. Ultimate Direct, and now, developer Dan Fornace is adding him to his own competitive brawler, Rivals of Aether. The iconic character - armed with only a shovel - appears to be the unofficial face of indie games. 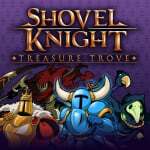 If you take a look at the trailer above, you’ll see Shovel Knight has all of his signature moves at his disposal including digging, fishing, and even shopping. Previously he's been featured in Indie Pogo and Blade Strangers. His arrival in Rivals of Aether makes this his fourth recent appearance in a fighting game. As exciting as the latest reveal is, the main problem here is Rivals of Aether is currently not available on the Nintendo Switch. Earlier this year, Fornace said Switch development was being prioritised - with the aim to find developers who could help port the game out of Game Maker Studio. Perhaps the recent news about GameMaker Studio 2 being licensed for use with the Nintendo Switch will make this process easier. What do you think about Shovel Knight doing the rounds in all of these competitive fighting games? Is he a worthy opponent, or do you think other indie characters deserve more attention? Tell us below. Huge missed opportunity for Smash Ultimate. Could still have a chance in Brawlout. Never played a Shovel Knight game but I really like Rivals so I may get this. Poor guy is getting shovelled into everything these days. What next? Black Ops 4? @Super8-BitBen Assist Trophy is already a lot. Shovel Knight seems to guest star everywhere! Soon more people will know him as the guest star than from his own game! I'm waiting for Munchkin Shovel Knight or Shovel Knight Monopoly next. Or Shovel Knight Pixel Tactics (though there may not be enough characters for it? it needs 25). @Super8-BitBen He's in Blade Strangers! And Indie Pogo. He's in enough fighters lol. @DoomTurtle Rivals of Aether is coming to Switch though? Would rather a date for... The new DLC or that 4p mode or even just the Amiibo’s. This is cool and all, but... I still wish there was room for Hollow Knight too. That little guy seemed like a perfect fit for this game. I was planning to stop buying DLC on Steam since I'll eventually get this on Switch, but I don't think I can say no to Shovel Knight! He looks really fun. This game continues to impress. I hope the Game Maker thing helps them get this on Switch sooner. How many games is Shovel Knight in exactly? So far I know this, SSBU, Azure Striker Gunvolt 2, Yooka-Laylee, Blade Strangers, Indie Pogo, and, oddest of all, Road Redemption. Is there any I’m missing besides the original? I remember watching the livestream yesterday when he got revealed for Rivals, the crowd went absolutely crazy there. Although no Car from Rocket League unfortunately for Rivals. I would much rather have had Undyne, Hollow Knight, Dust and Fidget or Yooka-Laylee, honestly. Though I give the devs credit for doing to SK what Smash does to their characters, making non-fighters into great fighters. All of these indie Smash games need to get together and combine their assets into a single title. I love all of the indie guest characters showing up lately, but I hate that they're spread out across so many different titles instead of giving us a single "Indie Mascot Smash." Looks cool, I dig it. Is Shovel Knight in Brawlout too? Speaking of Shovel Knight, what happened to that huge update they promised? They've got one last campaign in the works and they're working on releasing the battle mode around the same time as that. Seeing a lot of this bad blue guy! While it totally makes sense to have him guest Rivals of Aether and Brawlout, I don't know what to think about Shovel Knight being in Smash Bros.
A non-japanese design, from series not exclusive to Nintendo, by an independant non-japanese studio. He has got to be the first and only character in Smash to match that description. And it instantly asks the question of why Quote or Curly Brace wasn't there instead. But I digress, Rivals of Aether players: enjoy your shoveler! It arrived. And then another one arrived as well. @Super8-BitBen True. But I thought about it and there has to be a limit. Currently I want Ninja Gaiden in there. But then I realized there are way more classic and new characters. These include: Ninja Gaiden, Double Dragon, Contra, Rayman, Doom, Shantae, Owl Boy, Sans, etc. What about the idea of getting rid of Assist trophies and Pokemon and just having fighters? There would be more room if that happens. I'm convinced developers don't even actually add Shovel Knight to games and he just magically appears in them. Dude is in absolutely everything. Are we now expecting them to stop working on the game period just because they haven't found a studio to do the port job to Switch? At least he's in Super Smash Bros. Ultimate even if he's just an assist trophy. Shovel Knight fans should rejoice though, even classic fan favorites like Sparkster, Earthworm Jim, Shantae, Goemon, Crash Bandicoot, Conker, Banjo-Kazooie, Aero the Acro-bat, Spyro the Dragon, Gex the Gecko, Croc, Bug!, NiGHTS, Gon, Vectorman, Geno, Frogger, Mr. Do!, Qbert, Tomba, Klonoa, Bad Mr. Frosty, Rayman, Ryu Hayabusa, Joe Musashi, the Battletoads, the Double Dragon brothers, Travis Touchdown, Leon Kennedy, Lloyd Irvine, Doom guy, L-shape Tetris, Lara Croft, Viewtiful Joe, Aiai, Vyse, Adol, Aya Brea, Mag Launcher, Plok, Amaterasu, Samanosuke, Sol Badguy, Ragna the Bloodedge, Terry Bogard, Edricks, Cid Highwind, Chrono, Randi, Blazer, Firebrand, Arthur, etc., hadn't made it to Smash yet or at all. I've been keeping an eye out on Rivals of Aether for a bit now and the last news I heard from Dan Fornance was that they were originally trying to come out before Super Smash Bros on Switch. But when it got revealed for late this year, he instead thought that it would be better to leave some breathing room from smash and I believe he said possibly mid 2019 for possible release dates. I very much want this game available on Switch! I hope they can make it happen!